Thern winches and cranes are sold without wire rope. However, we offer standard wire rope assemblies specifically designed for use with Thern winches and cranes. We also offer a wide variety of hooks and special end fittings, which allow us to customize a wire rope assembly to suit your application. 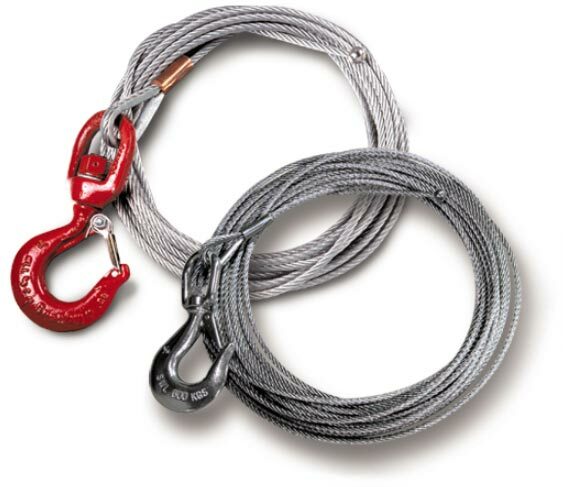 Whether you need winch ropes or crane rope, galvanized stainless steel or synthetic rope, mdi's sales team can help you select the right wire rope assembly for your needs.